Foundation Cracking – Feet are important! My lovely feet have taken a beating from what I now am aware is a result of having Ehlers-Danlos Syndrome (EDS). I had extremely high arches when I was younger, but gradually my arches dropped and now I have flat feet. I’ve always wondered why my last two toes on both feet curled under and the pinky toe actually curves inward too. My foundation is cracking! Do you realize there are 26 bones, more than 30 small joints, and more than 100 muscles, tendons and ligaments that must all work together for the foot to function properly? Imagine what is happening in that foot for someone with EDS and all that collagen not behaving properly. No wonder my feet hurt anytime I’m standing or walking more than just a few minutes! And it’s not completely because of my weight. Yes, I will admit that my weight doesn’t help my pain, but it’s a huge circle of problems. My medications cause weight gain – the EDS-related pain and subluxations make exercising difficult – the POTS makes exercising almost impossible at this time – and around again. I don’t even eat the amount of calories in a day most days that should be even maintaining my weight – I should technically be losing weight, but I’m not. Oh right, back to my feet. 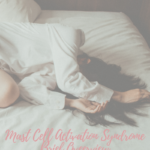 I have flares of plantar fasciitis – stabbing pain mostly in my heels (and mostly in my left heel – it’s the side I have my main issues in my lower extremities at this time), especially when I first get up. I do also have issues with the balls of my feet feeling like I’ve stone bruised them. I haven’t yet figured out what that problem is. I’m sure that is something related to the connective tissues looking at this from the EDS angle. Over the last few years, I’ve had quite a few issues with my toes. As I said before, the last two toes on both feet curl under some. From what I gather, the 4th toe is a mallet toe and the pinky toe is a claw toe. My toes hurt nearly every day, and I have a horrible habit of clenching my toes, especially when in a car – it must be from anxiety. I also wear sandals more often than not, which causes me to grip with my toes when walking. I hope my docs and physios aren’t reading this! I’m trying to wear athletic shoes a little more often to give my toes a rest. I also have some issues with my toenails on my big toes. I think that’s now a combination of the MCAS and EDS. My big toe nail seems to become separated from the nail bed often (thanks EDS) and a new toenail will grow underneath it. 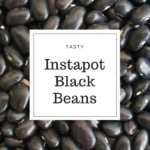 It seemed to get better while I was on Gastrocrom for the MCAS – I’m not sure why. Since that medication didn’t work well for me, I’m back to losing my one toenail about once a year and having a baby toenail underneath – Hey! I’m kinda like Deadpool! If you can’t see the humor in some of this, you’ll end up in bed depressed and suicidal like I’ve been before. I keep trying to see the humor! I am also testing the Toe Separators By Pedicura. You can find these on Amazon at https://amzn.to/2K03Bd6. They’re $10 right now and Prime Eligible. I’ve worn them twice now and I’m not sure about them yet. 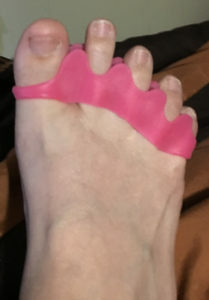 They fit between your toes and stretch them and according to the maker helps reduce or prevent bunions, hammer toes, claw toes, and mallet toes. I’ve only worn them for 10 minutes each time. They recommend wearing them for 10-15 minutes to begin with and gradually increasing to one hour. I’m not sure I’ll ever be able to wear them for that long. My toes did feel a little, I’d say uncomfortable, after wearing them, not really painful, but not tender either. 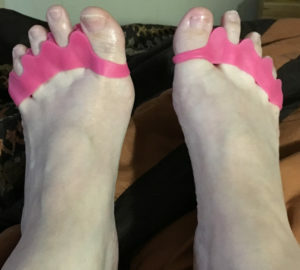 So they do stretch your toes. 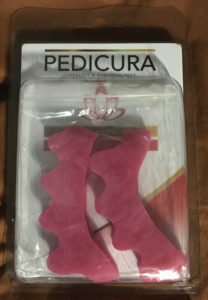 The jury is still out on whether the Toe Separators By Pedicura will help my mallet toes and claw toes, but maybe it will prevent them from getting worse. At this point, I’ll give a 3 1/2 stars out of 5, they aren’t horrible and stretch well to fit over my large for a woman feet. And they are comfortable compared to the cheap foam ones you can find. I’ll update everyone on how my feet/toes deal with them after several more uses in the future. I did receive these for free in return for my honest review.